I finished up my Listen List committee work on Friday so now I get to read with reckless abandon -- anything I want. I'm still reading (and loving) Dangerous Women, an outstanding anthology but today I felt like a mystery so I grabbed Little Black Book of Murder. 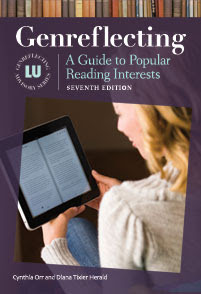 It came out in August and had been lurking in my TBR pile since then. The Blackbird sisters may be descended from a long line of Philadelphia’s elite but they have fallen on hard times. They all seem to be destined to be widowed, maybe even multiple times, and their parents, who went through their fortunes as well as the fortunes of some others, fled the country. Nora Blackbird wants to keep her lover, Mick, a crime boss alive by not marrying him but he does live with her on Blackbird Farm while under house arrest. Dressed in vintage couture she is trying to support herself and keep the farm afloat by working as a society columnist for an increasingly sleazy tabloid-like paper run by an unprincipled Aussie. When a retired fashion designer, married to a much younger supermodel, is killed with a pitchfork, Nora is assigned to solve the mystery since she refuses to dish the dirt on those close to the case. 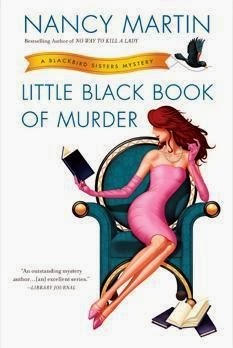 This was my first Blackbird sisters mystery even though it is the ninth in the series and it was a total delight. Fun, romantic, and fast paced complete with a pet pig.